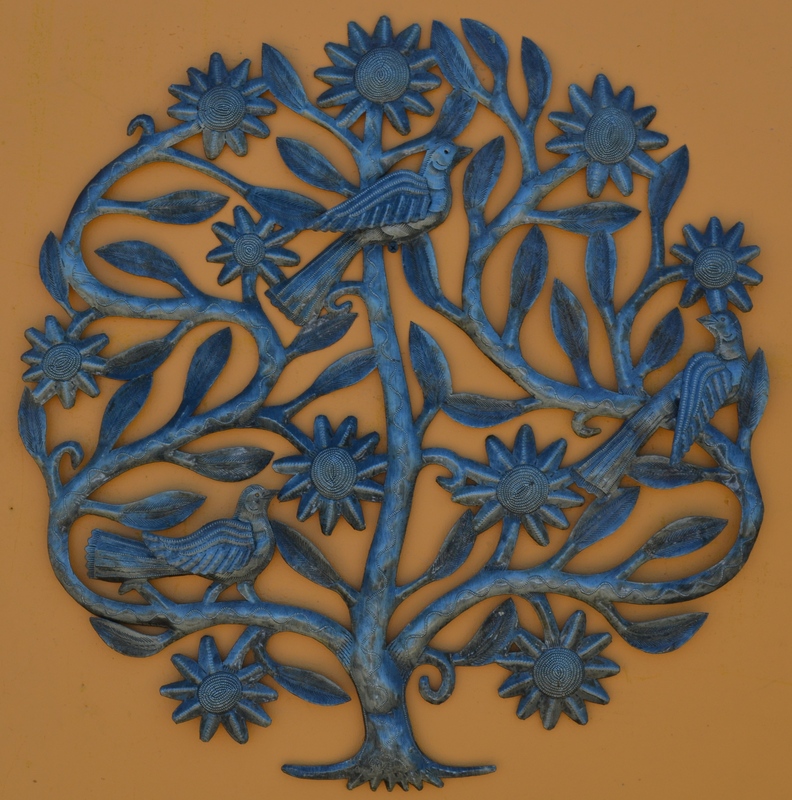 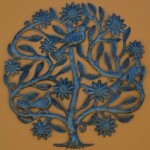 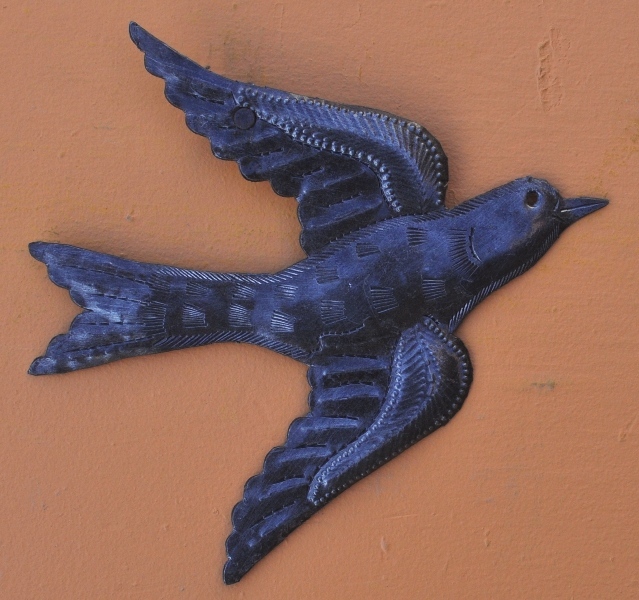 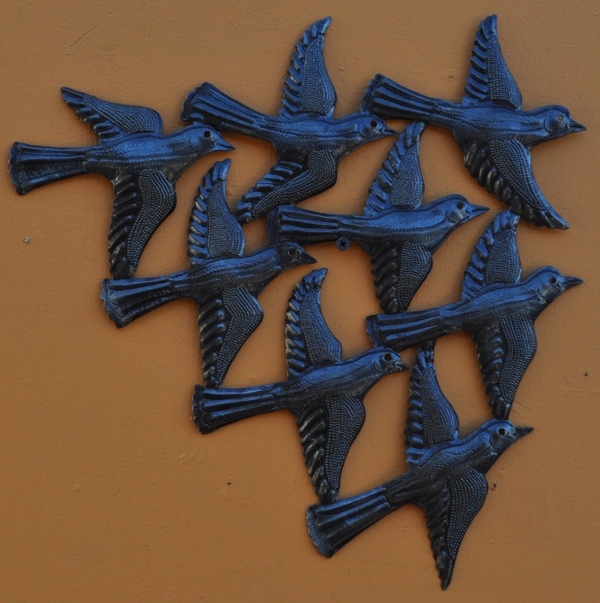 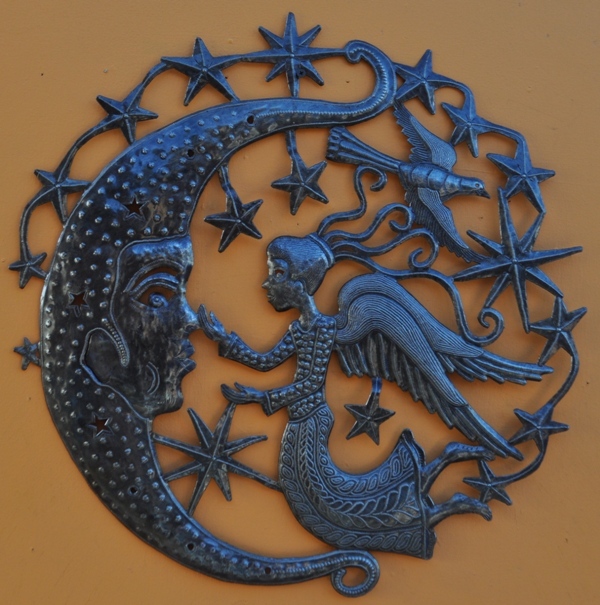 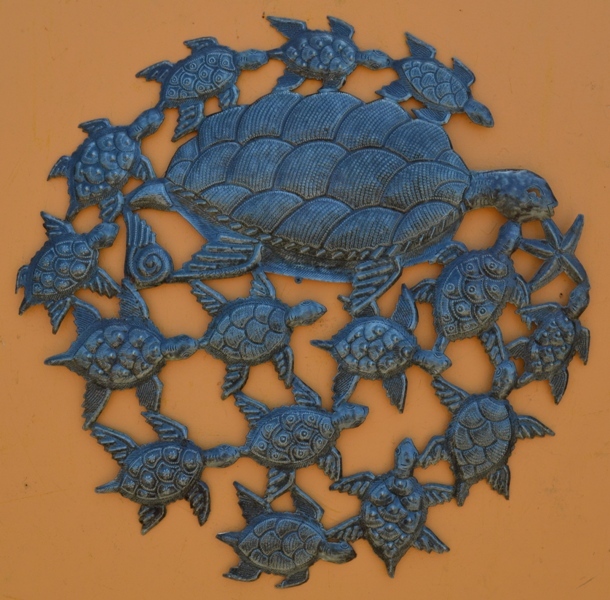 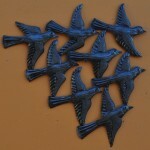 Make a difference in Haiti when you buy Fair Trade folk art by these talented artists. 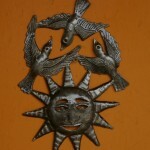 This art form is uniquely Haitian and recycles steel oil drums into something truly beautiful! 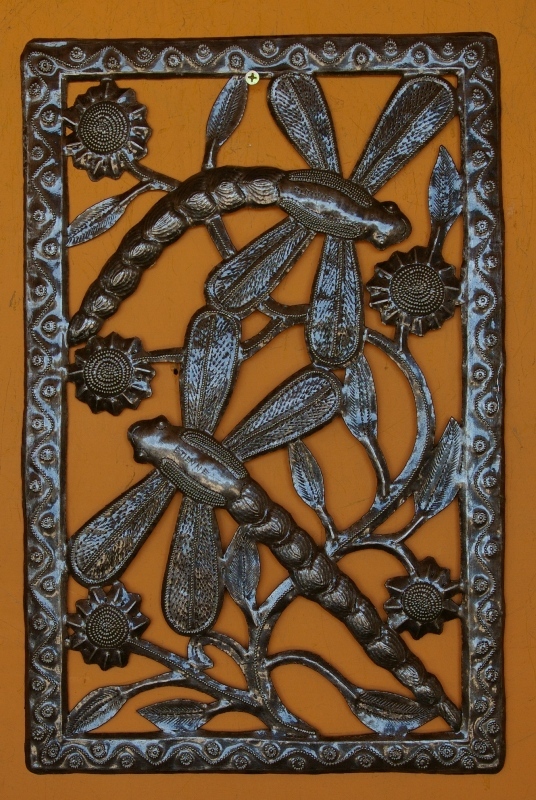 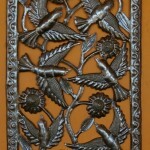 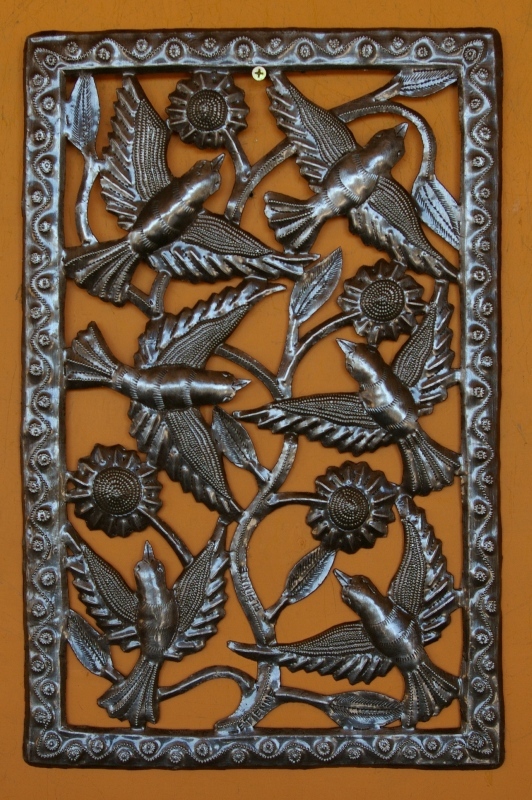 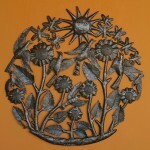 The artists draw the patterns on the metal then use chisels, dies and large hammers to cut and mold the designs. 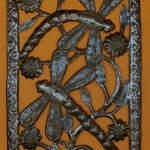 The steel’s rough edges are smoothed and the convex and concave shapes of the highly intricate sculpture are beaten out. 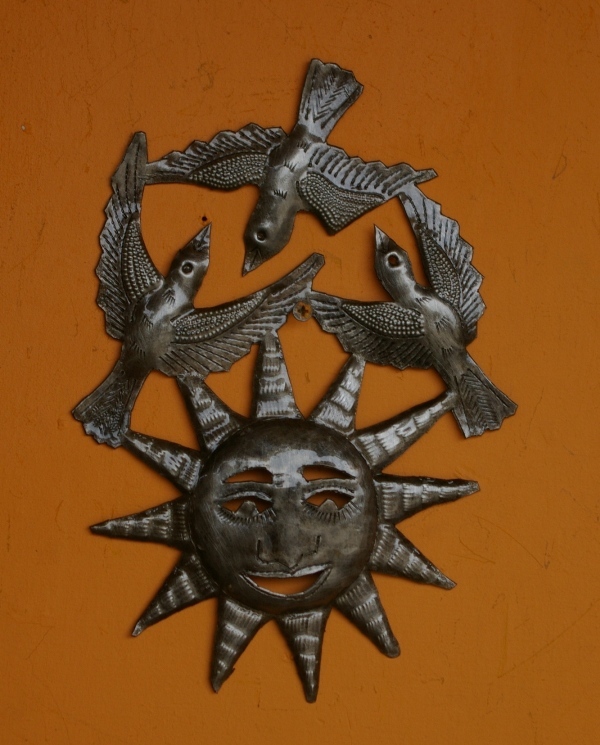 Once completed, each artist signs his name proudly with a small chisel, knowing that he is supporting his family while sharing the best of Haiti with the rest of the world. 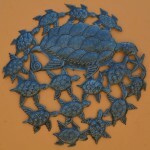 And, we like that!